For the 2016 model year, the Dodge Dart is more stylish than ever, thanks to a number of new options packages designed to turn heads on the highway. The new Rallye appearance package is now available for the base SE model, so you can save money on the cost of a new car and still look good for your fellow commuters. The Rallye packages includes 17-inch black aluminum wheels for a sharper overall image. Its projector fog lamps are more than merely striking – they actively improve visibility when the morning fog blankets the road. Thanks to the package’s rear stabilizer bar and sportier suspension, you’ll also enjoy improved performance. The Blacktop package is newly available for the 2016 Dodge Dart GT. In it, you’ll find 18-inch, gloss-black aluminum wheels that practically guarantee extra attention on your ride to work. Black trim highlights your Dart’s paint job, whether you prefer colors like Go Mango or Laser Blue Pearlcoat. Details like the gloss-black crosshair grille, fog lamp spear, and bezels combine to give the Dart a sleek overall look. The gloss-black power mirrors are also designed to attract notice. At our friendly dealership, we’re here to help. We know that shopping for your Dodge Dart can be overwhelming, which is why we look forward to helping you sort out the details – whether you’re in need of financing or looking for a great price on your trade-in vehicle. Our sales and finance teams will work with you on a personal level, so you can be sure your unique needs are met. Before you sign on the dotted line, we’ll make sure that you’ve got a finance plan that works for you. 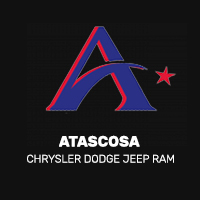 We’re also prepared to help you choose the vehicle that works best for you. Our inventory offers a wide selection, and our knowledgeable sales staff can help you find the exact comfort, convenience, and safety features you seek. * Dealer sets actual price.